We are the local experts you've been looking for! Mackay Pest Control has an excellent track record in banishing pests once and for all. We work with environmentally friendly products to ensure all pests are removed safely, without causing harm to your family, employees or property. Whether you have an infestation of ants or have noticed telltale signs of rats, we’ll provide a specialised service to keep you and your property safe. All of our Mackay technicians are fully qualified, insured and abide by the highest standards of pest management. 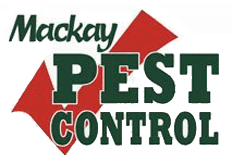 Our Mackay pest experts to discuss your needs. Mackay Pest Control specialise in all aspects of pest management, particularly for termites. If not quickly and effectively removed, termites can cause detrimental damage to your property, and may cost you thousands of dollars down the track. Save time and money with our affordable termite management systems that are suitable for both residential and commercial properties throughout Mackay. Talk to one of our experienced technicians to find the best termite management system. Say goodbye to unwanted pests today–call Mackay Pest Control. Mackay Pest Control is the local leader in fast, effective pest management. We provide homes, businesses, schools and sporting clubs with safe pest control services that won’t let you down. Call our friendly technicians for a no-obligation quote.